The Pivotal WWII Gun That Nobody Wanted to Put Down- The "Plumber's Nightmare"
Initially designed and produced during WW2 for British soldiers, the Sten was developed as a direct response to both dwindling supplies of American made Thompson machine guns and the evacuation of Dunkirk, during which the British abandoned many thousands of guns. 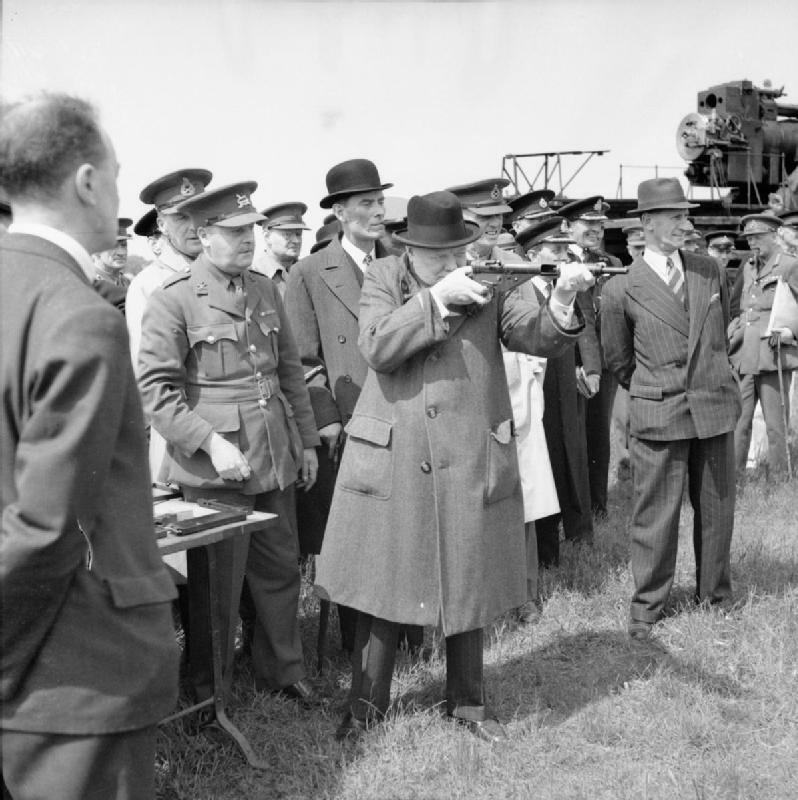 In an effort to re-arm its troops as quickly as possible for the defense of the homeland, the British Government requested that the Royal Small Arms Factory in Enfield design an alternative to the increasingly hard to obtain Thompson. As the old maxim states, “You can have it fast, good, or cheap- pick two”. Given the title of this article, you can guess which two were emphasized. 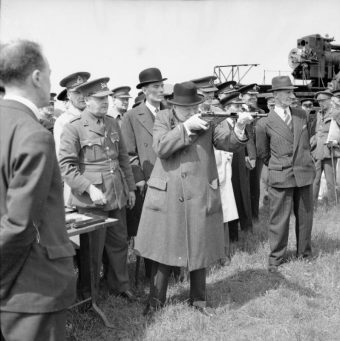 The original design for the Sten is chiefly credited to two men, Major R. V. Shepherd and Harold Turpin who finalised the design in the closing months of 1940. The first Sten prototype was reportedly of reasonably high quality for what it was, featuring a flash hider, a foregrip as well as wooden finishings that gave the gun a sleek appearance. About 100,000 of these were produced in the summer of 1941 before the government decided to strip the already spartan Sten down to save money, materials, and reduce build time even further. The result was the Sten Mark II. Just a few months after it entered production, the Mark II became both the bane and the boon of many an Allied soldier’s life. On the one hand, the Sten Mark II could be produced for less than $10 (about $160 today) in about five man-hours. (In contrast, the Thompson cost about $140, or about $2,300 today, to produce.) Not only that, but the Sten used only two machined parts, the barrel and the bolt, with the rest being made, as a 1943 edition of Popular Science put it, from “the cheapest kind of stamping”. Initially the design even used common bed springs as a main component. With the help of assembly lines, all total an estimated two million Sten Mark II’s were produced during the war (and approximately four million total in the Sten line of guns). Due to its simplistic design, the Sten Mark II was remarkably easy to maintain and required virtually no lubrication to function properly. In fact, the construction was so simple that resistance fighters who couldn’t get their hands on the genuine article even sometimes just made their own. Another benefit of the Sten’s jury-rigged design was that it could be easily customised to accept magazines from other guns, silencers and viewing sights. The ammunition for the gun was also easy to come by, given that the Mark II was specifically designed to use the 9mm German Parabellum bullets, which were the most commonly used round by the various European militaries. Needless to say, they were readily available even to resistance fighters in Nazi occupied territories, particularly as the Germans started to retreat. The Mark II was also literally murder in close combat, able to fire off rounds at a rate of 500-550 per minute (though its clip only held 32 rounds). It was also relatively accurate up to 100 metres (if one kept a firm grip and used short bursts) and was light and easy to conceal. Essentially, the weapon was ideal for taking out many enemy soldiers in close range, and if you surprised them, perhaps even before they’d have a chance to raise their weapons. So what was the problem then? Well, if you, say, bumped the gun hard enough or dropped it (or just set it down too firmly), it had a tendency to fire on its own. What’s worse is that if it was in full-auto mode (or sometimes even if not due to failures in the mechanism that would occasionally make it fire single shots when in auto-mode and vice-versa), it would unload the entire clip in its self-firing frenzy. Beyond the gun firing when soldiers didn’t want it to, it also was ridiculously prone to not firing when they did want it to. This was due to the inherent flaw in the magazine feed design, which was intentionally based on the magazines used in the German MP-38. (They did this for compatibility’s sake.) The problem with this design was that it used a double column, single feed mechanism, meaning two columns of bullets would have to merge into one for firing (requiring an extremely precise feed angle to work). This jamming problem was so bad that it was common for soldiers to extensively test fire each of the Sten’s they were issued before trying to use them in combat. Units that were determined to be more prone to jamming than others were tossed aside. But even if you had a Mark II that seemed to perform well at first, small amounts of dirt or other debris could cause the guns to jam, which was a particular problem in the muddy conditions prevalent across the Eastern front. This problem was exacerbated by the fact that the long opening that the cocking knob ran along readily allowed such debris to enter the gun. 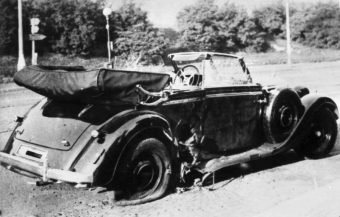 The most famous example of a Sten Mark II jamming at an inopportune time was in the assassination attempt of SS-Obergruppenführer Reinhard Heydrich, “The Butcher of Prague”, in Operation Anthropoid on May 27, 1942. The assassins waited along Heydrich’s normal daily commute, which would necessarily pass a certain bend where they knew the car would have to slow to a near stop. In a move that later resulted in Hitler calling Heydrich an idiot, Heydrich chose to drive his daily commute in an open-top Mercedes, rather than in an armored car with extra guards, as you’d expect one of the biggest mass murderers traveling in, essentially, enemy territory to do. 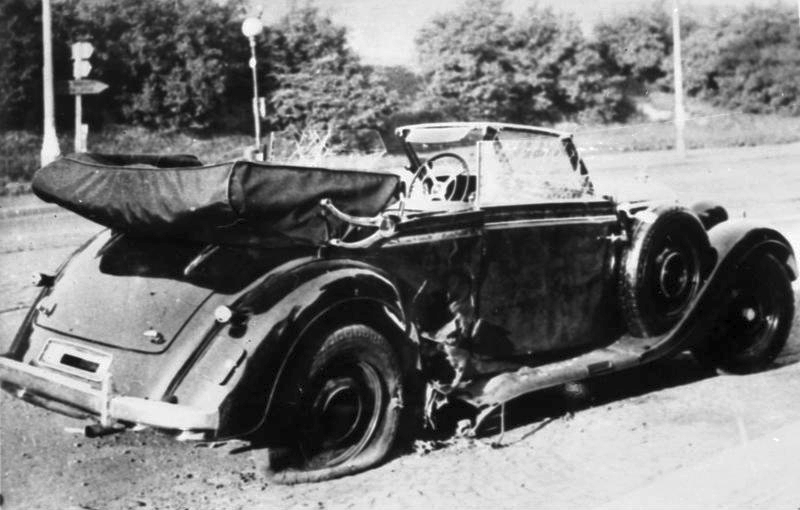 As such, when the exposed car reached the bend in the road, one of the would-be assassins, Jozef Gabčík, pointed his Sten Mark II at Heydrich at near point-blank range. He pulled the trigger and the Sten gun did what it was wont to do- jam. Luckily for the assassins, rather than order his driver to speed off, Heydrich told him to stop so he could go after the attackers. While Hydrich did eventually manage a rousing chase, when the car stopped, one of the other assassins, Jan Kubiš , chucked a modified anti-tank mine at it. The resulting explosion and shrapnel severely injured Heydrich’s spleen, left lung, diaphragm, and fractured a rib. Nevertheless, bleeding profusely, he still chased his attackers for a time before becoming too weak from his injuries. Later, surgery was partially successful, in that he survived at first and his wounds began to heal, but a few days later he succumbed to infection and died. Despite its many problems, the Sten Mark II played a significant role in the Allies’ early efforts in WW2, managing to put an exceptionally deadly close-range weapon in the hands of Allied fighters, instead of the hunting and bolt-action rifles left over from WWI, which were all that some soldiers had to use before the Mark II. That said, the Sten’s importance didn’t stop soldiers from giving it colorful nicknames like the “Stench Gun”, the “Plumber’s Nightmare”, and the “Woolworth’s Wonder” after a popular British retail chain known for selling cheap toys and gifts. The name “STEN” was derived from the surnames of the gun’s two designers and the factory at which it was initially designed, “R. V. Shepard, H. J. Turpin and Enfield arsenal”. When the Sten’s barrel was covered with a wet rag or cloth, the sound it produced when firing was shockingly similar to that of a heavy machinegun. Soldiers would often make use of this fact to scare German troops into thinking they were far better armed than they actually were.